Dr. J. Peter Harris is a native Rochesterian and attended Stanford University prior to medical school at the University of Rochester School of Medicine and Dentistry. He then completed a pediatric residency, including a chief resident position, before going on to fellowship training in pediatric cardiology. 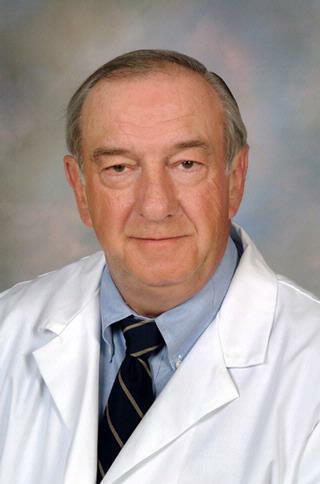 Since then, he has been on the faculty at the University of Rochester with the exception of six (6) years, 1984 to 1991, when he was Chief of the Division of Pediatric Cardiology at East Carolina University. He is currently a professor of pediatrics, a full-time pediatric cardiologist and Associate Chair for Education in the Department of Pediatrics. His research interests include educational methodologies, pediatric cardiovascular screening, heart rhythm abnormalities in infants and children, and sudden cardiac death. Chang P; Harris JP. "Myocarditis". Pedaitrics in Review,. 2006; 27: 73-75. King A; Harris JP; Fritzell J; Kurlan R. "Syncope in children with Tourettes syndrome treated with Guanfacine." Movement Disorders J. 2006; 21: 419-420. "Index of suspicion." Pediatrics in review. 2003 Sep 0; 24(9):311-6. Book Title: The Pediatric Clinical Advisor. Author List: Harris JP, Alexson CG.